Honda Philippines recently released the 2011 edition of its widely popular Honda Jazz. The Honda Jazz has energized the small car segment since its release in 2004. And now with the entry of its 2011 model, Honda is sure to continue creating interest over this small car. I came across a display model of the 2011 Honda Jazz in the trade area of a mall. What caught my attention upon seeing the car is its very aggressive styling. Though the overall stance and dimensions of the 2011 Honda Jazz are similar to the previous model, the front and rear bumpers have been noticeably changed. The new front styling is enhanced with a new mesh grille and reshaped headlights. Tail lights are now LED. I snapped a couple of pictures of the 2011 Honda Jazz. Compared to the previous model, this Honda Jazz is too aggressive, style-wise. While I personally like the aesthetic upgrades, I will not be surprised if there will be a few who disagree. The previous model carried just the right amount of agressiveness but the current model might be too aggressive for some. 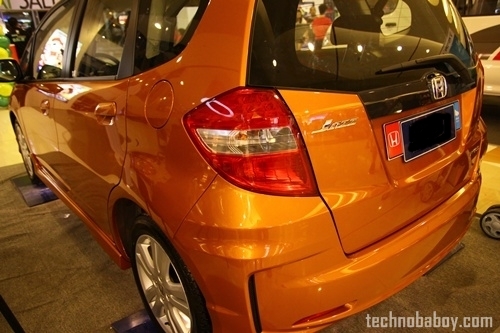 For pricing, the 2011 Honda Jazz is more expensive than the previous model. The price list in Honda Philippines’ website indicates that the 2010 model is still available. A quick look inside the 2011 Honda Jazz will give you the impression that nothing has been changed. But there are a few changes. The dashboard, for instance, now features an amber-lit instrument cluster and audio system. The 1.5 liter Jazz comes with a paddle shift technology, just like the City, Civic and Accord models, to enable manual shifting of gears without the clutch. Powered by Honda’s i-VTEC engine, the Jazz is expected to deliver excellent fuel economy. The Honda Jazz has a maximum power output of 100 ps at 6000 rpm for its 1.3 S, and 120 ps at 6600 rpm for the 1.5 V model. 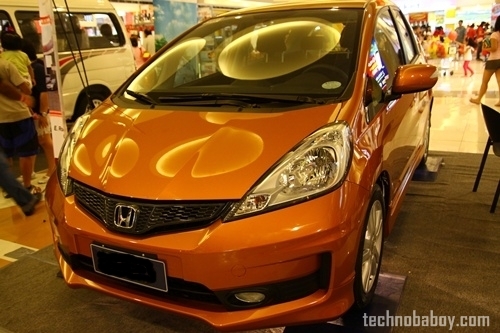 You can see the official release photos of the 2011 Honda Jazz in this site. For the full release message from Honda, click here. much bigger than the Paj and a lot more comfortable. also have<a href=”http://www.iworkoncars.net/”> Automotive Repair Tempe AZ </a> manual. I really enjoyed driving this car. looks good. We really enjoyed driving this car . What did they do with the rear bumper? Oh my, Honda doesn’t seem to make it right. Once again another blow from the once number 1 in passenger cars. Better Luck next time. This website is awesome !! Jazz is the fastest selling new model, It has won many honors. I am proud to be having one.